In Part One we explore how residents in the northwest suburbs cope with the frustration of driving in traffic jams – which many drivers say has become the new norm in the Twin Cities. Many of them think the gridlock is getting worse. Brake lights and clogged freeways have commuters seeing red, while cone zones and barrels turn roads into an ocean of orange. So how should frustrated drivers deal with gummed up highways? How do they cope with epic traffic jams? How so they stay calm, cool and composed on the highways? Experts say it is crucial that drivers chill out and go with the flow. “If you’re sitting in traffic and you’re getting frustrated do what you can to try and keep your emotions in check,” Van Gundy said. Road rage can be real. The key is to stay calm when your speed is reduced to a crawl. Don’t let things reach a boiling point. Another tip for drivers is don’t tailgate the person in front of you. 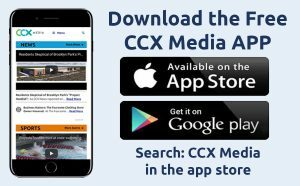 In Part Two of the series CCX News looks at how traffic jams impact business.